Draft: 2004, Colorado Rockies, 4th rd. Christopher Domenic Iannetta … son of Domenic and Maria … resides in Wrentham, Mass. in the offseason ... Has two daughters, Ashlyn (8) and Kylie (5) ... Co-owns JACK Winery in Napa, Calif. with former teammate Vernon Wells ... An alumnus of MLB's Reviving Baseball in Inner Cities ... In his free time, enjoys reading mystery and science-fiction novels, as well as political works ... Learning to play the guitar and enjoys hunting ... Attended St. Raphael Academy High School in Pawtucket, R.I ... Majored in mathematics at the University of North Carolina. Appeared in 110 games, his most since 2013, in his first season with the Rockies since spending the first six seasons of his career with the club (2006-11) ... Batted .224 (67-for-299) with 13 doubles, one triple, 11 home runs, 36 RBI, 50 walks and 87 strikeouts ... Made 83 starts at catcher with the Rockies going 45-38 … posted a 4.35 catchers ERA in 753.1 innings behind the plate ... Reached base in 19 consecutive games from April 24-June 1, the second-longest streak of his career (26 games in 2008) ... Batted .277 (13-for-47) with a .452 on-base percentage in September, the fourth-best OBP in the NL in the month ... Had two walk-off RBI … drew a walk-off walk Aug. 12 vs. Los Angeles-NL and recorded a walk-off RBI single May 28 vs. San Francisco ... Homered in the Rockies' 1-0 win July 4 vs. San Francisco … also homered in the previous instance that Colorado won 1-0 with a solo shot, July 18, 2010 at Cincinnati ... Started three of four postseason games at catcher. Returned to the National League on a one-year contract with Arizona, where he made his 10th Opening Day roster...Batted .254 (69-for-272) with 19 doubles, 17 home runs, 43 RBI and 37 walks in 89 games for Arizona...Recorded a career-high seven RBI on June 8 vs. San Diego, and then set a new career high on Sept. 22 vs. Miami with eight RBI … he became the 21st player (24th time) since 1913 to have multiple games with seven or more RBI in the same season...Of his 17 home runs, nine either tied the game or gave Arizona the lead … 17 home runs was the second-most of his career, most since hitting 18 home runs in 2008 as a member of the Rockies...His 4.03 catcher's ERA ranked sixth among all NL catchers with at least 500.0 innings caught...Suffered a concussion on May 12 vs. Pittsburgh following a hit by pitch, and went on a seven-day concussion disabled list. Hit .210 (62-for-295) with 14 doubles, 7 home runs and 24 RBI in 94 games for the Mariners. In his ninth big league season and third with Angels, hit .252 (77/306) with 22 doubles, seven home runs, 43 RBI and 54 walks in 108 games...The 22 doubles matched a career-high set with Colorado in 2008 while his 43 RBI were his highest totals since 2011 (55 RBI, also with Colorado)...Became first Angels catcher with 20 doubles and at least 40 RBI since Mike Napoli in 2009 and just fifth Halo backstop ever to accomplish the feat (7th occurrence)...Led A.L. catchers with a .378 OBP (3rd in M.L., min. 350 PA) while his 54 walks as a catcher were tied for second in A.L...His .997 fielding percentage this season was second highest in club history by a catcher, trailing only Bengie Molina's .999 mark in 2002...The .997 fielding percentage was also second best by an A.L. backstop...His four passed balls were third fewest in A.L...Hit walk-off home run in the bottom of the 12th inning April 16...Marked sixth career walk-off hit, second as an Angel (also, Sept. 20, 2013 vs. SEA) and fourth walk-off home run...Was the the fifth Halo catcher to hit a walk-off home run (E. Averill, B. Boone, L. Parrish, M. Napoli)...Seven game-winning RBI were tied for fourth on the Club. Hit .225 (73/325) with 15 doubles, 11 home runs, 39 RBI and 68 walks in second season with the Angels…Surpassed his 2012 totals in games, hits, doubles, home runs and RBI while establishing a career high in walks... 68 walks led all Major League catchers and placed him third on the club's single-season list by a backstop…Tied a club record for walks in a nine-inning game (4) twice... Named AL Player of the Week for the period ending on Sept. 15…Hit .429 (9/21) with two doubles and three home runs…First career Player of the Week honors and first Angel catcher to win the award since Ellie Rodriguez in 1974... Hit .211 (42/199) before the All-Star break but drew 46 walks and posted a .356 OBP… His 46 walks before the break were tied for the most ever by an Angel catcher (Ellie Rodriguez, 1974)…Also logged nine doubles in the first half of the season…Last Halo catcher with more two-baggers before the Midsummer Classic was Bengie Molina in 2004 (10 2B)... Caught all 19 innings of the club's 6 hour, 32 minute affair on April 29…Was the first AL backstop to catch more than 18 innings in a game since A.J. Pierzynski and Jason Varitek on July 9, 2006 (also 19 innings)... Named the club's 2013 nominee for the Branch Rickey Award... Wife Lisa gave birth to their second child, Kylie Rose on November 12. Completed first season as an Angel batting .240 (53-for-221) with nine home runs and 26 RBIs...Despite missing 67 games with a right wrist injury, led all Angels catchers in games (78), hits (53), runs (27), doubles (6), home runs and RBIs...Last Halo to hit more HRs as a catcher was Mike Napoli (12) in 2010...Halo pitchers fashioned a 3.90 ERA with him behind the plate...Caught Jered Weaver's no-hitter on May 2 vs. Minnesota...Drew 29 walks and posted a .332 OBP this year...Missed 67 games from May 10 thru July 27 with a fractured right wrist...Originally suffered the injury after being hit by a pitch on May 2...Marked only second career trip to the disabled list (also, May 24-June 9, 2009)...Established a season high with three RBIs on Sept. 3...First 3+-RBI outing since Sept. 25, 2011 @ Houston (5 RBIs)...Logged 10th career triple in final at-bat on Aug. 22 @ Boston...First three-bagger by an Angels catcher since Hank Conger Sept. 21, 2010...Signed a three-year contract extension through 2015 on Oct. 5...Acquired by the Angels before the 2012 season from Colorado for RHP Tyler Chatwood. Spent 2011 as Rockies' regular catcher playing in career-high 112games and setting career-bests in at-bats (345), runs (51), walks (70)and stolen bases (6)...Led Rockies and all N.L. catchers in walks...70free passes were most for a Rockies catcher in franchise history,breaking the record he established in 2008 (56)...2011 marked thirdtime in career posting double-digit home runs (14 in 2011, 16 in2009, 18 in 2008) and the third time with 50-plus RBI (55 in 2011,52 in 2009, 65 in 2008)...One of eight N.L. 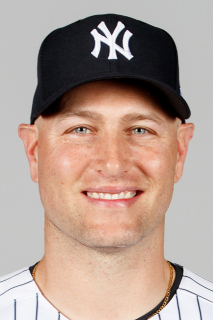 catchers with double-digit home runs and 50-plus RBI in 2011...His.370 on-base percentage was 2nd-highest OBP for N.L. backstops with at least 80 games played (Carlos Ruiz - .371OBP)...Tied Rockies' catcher record with six RBI on May 28 vs. STL (4-for-5; two, 2-run HRs)...Also marked firstcareer multi-home run game...Had five RBI on September 25 at Houston (5th 5+ RBI game of career)...Stole sixbases despite having just one SB in MLB career prior to 2011...Behind the plate, made 105 starts logging a .998fielding pct. (2 E in 817 total chances) while throwing out 27.1% of base stealers (26 for 96)...His 82 assists ledN.L. catchers while his .998 fielding percentage ranked second among N.L. backstops. Iannetta began the season on the Rockies active roster for the fourth straight season, though he playedin his fewest amount of games of all four Major League seasons...Was on the Rockies active roster for the majority of April before being optioned to Triple-A ColoradoSprings on 4/27...batted .133 (4-for-30) with two home runs and two RBI in eight games before beingoptioned to Triple-A...Played in 17 games with the Sky Sox before being recalled by the big league club on 5/25...batted .349(22-for-63) with 7 doubles, 5 home runs, 21 RBI and 17 runs scored in the 17 games...Hit .209 (33-for-158) with six doubles, seven home runs and 25 RBI in 53 games over the remainder ofthe season...posted a .333 on-base percentage after his recall from Triple-A as he had 26 walks, and just37 strikeouts, in those 53 games...His two most productive months came consecutively in June and July...hit .265 (9-for-34) with three doubles,a home run and four RBI in 12 games in June...then hit .273 (9-for-33) with 4 home runs, 10 RBIand a 1.142 OPS in nine games during the month of July...Hit .222 (14-for-63) with 3 home runs and 9 RBI against lefties, and .184 (23-for-125) with 6 home runsand 18 RBI against right-handers...Was most productive when batting out of the No. 7 hole in the Rockies order...hit .304 (17-for-56) with 3home runs and 9 RBI in 16 games while batting seventh this season...Despite playing only 258 games since the beginning of 2008, Iannetta has hit 43 home runs over the lastthree seasons (since '08)...his 43 homers over that span is the third-most among National League catchers,as only Brian McCann (65) and Geovanny Soto (51) have hit more...Iannetta remains the Rockies all-time home run leader among catchers...his 49 career homers are 13more than second place Jeff Reed (36 HRs)...Iannetta's 181 RBI are also the most in franchise historyfor a backstop, as he pulled away from Yorvit Torrealba (152 RBI) in 2010...Iannetta threw out 15-percent of attempted base stealers in 2010 (6-of-41)...he has thrown out 18-percent(40-of-217) in his Major League career. Hit .228 (66-for-289) with 15 doubles, 2 triples, 16 home runs and 52 RBI in 93 games for theRockies...began the season as the club's primary catcher but finished as a backup to Yorvit Torrealba...stillfinished with team-high 89 games caught (87 starts) and has been behind the plate for 249 games sincethe start of 2007 - more than any other Rox player...followed up his 18-HR campaign in 2008 with 16 HR'sin 2009, as he became the first Rox catcher since Charles Johnson (2003-04) with consecutive 10-HR seasons...also posted his 2nd straight 50-plus RBI season...had 2 of Rox 5 grand slams this season and wasone of 2 Rox (also Ian Stewart) to hit for the home run cycle... 29 of his RBI were on HR's and 15 RBI camewith the bases loaded...began the season 0-for-9 with runners in scoring position but finished 17-for-66(.258) in that situation...had 6 go-ahead RBI in '09, all of which turned out to be game-winners...ranked 3rdamong NL catchers in HR's, 6th in RBI and 9th in total bases (133)...since the start of 2008, his .853 OPSranks 2nd among NL catchers, trailing only Brian McCann (.866)...Rox went 46-40 with Iannetta behind theplate, as he posted a 4.62 catcher's ERA...the backstop set a club record with 158 consecutive errorlessgames from 6/22/07 through 5/21/09, breaking Cory Sullivan's club mark of 155 games...Iannetta finallymade an error on 5/23 (first since 6/22/07) and went on to make 4 more errors the rest of the season...wason the Opening Day roster for the 3rd time in his career; made first OD start since 2007, when he becamejust the 2nd starting rookie catcher ever for the Rox (also JD Closser, 2005)...hit back-to-back HR's withTulowitzki off Brandon Webb on OD...only hit of '09 through first 5 games was a HR...solo HR 4/19 at LADsnapped 6-game hitless streak; first 2 hits were HR's...single 4/21 ARI was first hit of '09 that was not aHR...hit 2nd career grand slam 5/4 at SD, go-ahead shot in 7th inn. (Meredith)...hit his 2nd grand slam ofseason, career-high 5 RBI 5/13 vs. HOU...set club record with 156th consecutive errorless game 5/19 atATL, breaking Cory Sullivan's club mark of 155 games; error on 5/23 was his first since 6/22/07...missed15 games on the DL (5/24-6/9) with right hamstring strain...hit 10th HR 6/20 vs. PIT; finished with 8 RBI on6/12-21 homestand...lost job in late August as struggles continued...had biggest hit of season 9/29 vs. MILas he hit a pinch-hit, 2-run, walk-off home run in the 11th inning to win the game for Colorado...started just5 games in September but hit .417 for the month. During one of the finest offensive seasons by a Colorado catcher, Iannetta hit .264 (88-for-333) with 22 doubles, 18 home runs and 65 RBI...almost half of his hits went for extra bases (42 of 88)...his 65 RBI were the most ever for a Rockies catcher a single season (previous: 64 RBI by Brent Mayne in 2000)...his 168 total bases and .390 OBP were also tops among franchise catchers in a season...18 HR ranked as the 2nd-highest single season HR total for a Rockie catcher, trailing only Charles Johnson's 20- HR season in 2003...marked just the 6th season by a Colorado catcher with 10+ HR...posted an .895 OPS, the 2nd-highest mark among MLB backstops, trailing only Atlanta's Brian McCann by .001 (.896)...his 18 home runs were also 3rd among NL catchers and his RBI total ranked 6th among backstops...hit .316 (30- 95) w/ RISP and .391 (18-46) in that situation with 2 outs (4th-best in NL)...averaged 5.12 AB/RBI, the 9th- best mark among all NL players (min. 250 AB)...his 65 RBI were the most for any player with fewer than 350 AB's in the NL, one RBI more than Arizona's Chris Snyder (64 RBI, 334 AB)...led all Rox in hit by pitch (14) and ranked T-3rd in NL in that category...finished as one of only 3 MLB catchers (Chris Snyder, Brandon Inge) with no errors (min. 50 g)... Rox went 46-50 in his 96 starts, and he caught 5 of the Rockies 8 shutouts...threw out just 16.3 percent (8-for-49) of attempted base stealers...started 23 of club's last 25 games at catcher (starting 8/30)...reached base via hit, walk, or HBP in 53 of his last 57 games from 7/4 through the end of the season (.404 OBP since then)...was on the Opening Day roster for the 2nd time in his career...set career high with three hits 4/15 at SD (would finish with four 3-hit games)...homered, dou- bled and scored 2 runs 4/29 at SF, including the go-ahead run in the 7th inning; entered that game in first frame after injury to Tulowitizki and played third base (1 putout) for the first time in his career (first appear- ance at 3B since collegiate summer league)...hit Rox first pinch home run 6/3 vs. LAD; was one of 6 NL catchers (catcher is the player 's primary position) with a pinch homer in '08...also became the first Rockie I A N N E T T A catcher with a pinch homer since JD Closser on 6/17/06 at STL...9 of first 18 RBI came with 2 outs and 29 of his 65 overall came in that situation...solo HR 6/7 was part of back-to-back clouts with Brad Hawpe...finished 2nd in NL with .446 OBP in June (1st, Mientkiewicz, .467)...delivered Rockies 2nd con- secutive walk-off win (4th of the season) with RBI-single in the 9th inning 7/4...batted cleanup and hit a home run 8/12 vs. ARI (1st Rox catcher to hit cleanup since Todd Greene, 5/21/05)...became first catch- er in Rox history to hit cleanup in consecutive games...batted .351 (13-37) vs. the Giants and went 6-for-9 with a homer and 4 RBI off Tim Lincecum (most hits vs. Lincecum by any player in '08)...hit game-tying, pinch-hit RBI-single in 9th inn. with 2 outs 8/31 at SD (blown save, Hoffman)...started 23 of 24 games at catcher in September (2nd among MLB catchers in the month)...hit first career grand slam 9/16 vs. SD, the 4th for the Rockies in '08 and second in as many games for the club (Tulowitzki hit his 2nd career slam the previous night); marked just the second time in franchise history for the Rockies to hit a grand slam in con- secutive games, the first time to do so at Coors Field...Rockies were the second team in '08 to hit a slam in consecutive games (the Reds did it 9/5-6 vs. CHC; Jay Bruce-Jolbert Cabrera) (Elias)...hit 18th home run 9/19 vs. ARI to give him 3 homers in a span of 4 games. The Rockies' Opening Day catcher, Iannetta batted .218 with four home runs and 27 RBI in 67games for Colorado in his rookie season in the Major Leagues...finished the season strong with a .348 (16-for-46) average over his final 16 games...started 54 games behind the plate, second-most amongRockies...had eight doubles and his three triples ranked fifth among Rockies...was hit by pitches five times, fifth-moston club...hit .204 (10-for-49)vs. lefties and 33-for-148 (.223) against right-handers...actually hit better onthe road (.255) than at Coors Field (.179), one of few Rockies who could make that claim this season, orany season for that matter...hit three of his four home runs away from home...batted .275 (14-for-51) with runnersin scoring position, including .318 (7-for-22) with RISP and outs...hit for higher average with 2 outs(.262) than he did with zero (.178) or one (.222) out...batted .286 (2-for-7) with two walks as a pinch-hitter...did not have more than two hits in any game all year...had a .997 fielding pct. (1 e/329 tc) in 60 games/54starts behind the plate, throwing out nine of 38 (23.6%) runners attempting to steal...had four passed balls...startedclub's first two games of the season and had a hit in each game...had two RBI on Opening Day, April 2 vs.Arizona...became just the second starting rookie catcher ever for Rox on Opening Day (also JD Closser,2005)...was the first Rockies amateur draft selection to start an opener at catcher for the club...became thesixth-youngest Opening Day starter in franchise history, as he was 23 years, 359 days old on April 2...platedwalk-off run with two outs in 11th inning on April 3 vs. Arizona when his one-hopper to third base got byAlberto Callaspo, a play on which Callaspo was charged with an error...started eight of Rockies' first 13 games,but would start just 35 of next 97 prior to his demotion...batted .184 (16-for-87) over his first 31 gamesthrough June 3, striking out exactly one-third of his at-bats (29 K's)...over a 9-game span June 7-29, hit.313 (10-for-32) to raise season mark from .184 to.218, highest point after season's first two games...hada .250 average in June...appeared in just 11 gamesfrom June 30-Aug. 5, batting .031 (1-for-32) to lowerseason figure to .179...had an 0-for-29 stretch fromJune 29-July 31 before an eighth inning single on July 31at Florida...was optioned to Triple-A Colorado Springson Aug. 6 and hit .296 (16-for-54) with a home run andseven RBI in 16 games for the Sky Sox...was recalled byColorado prior to game on Aug. 26 and would hit safelyin his first five games/four starts after his return at .500(9-for-18)...Rockies won nine of Iannetta's final 11 starts,plus a game in which he took over behind the plate after Yorvit Torrealba was ejected in the second inning (Sept. 12 at Philadelphia)...posted career-high four RBIon Sept. 16 at Florida...hit safely in his next five consecutive games, but made just one start in Colorado'sfinal 10 contests. After splitting the season with Tulsa and Colorado Springs, Iannetta had his contract purchased by the Rockies in late August and started 20 of the club's final 33 games...had played just 19 games above the Single-A level prior to '06...batted .260 with two home runs and 10 RBI in 21 games for Colorado, his major league debut...team was 12-8 in his 20 starts behind the plate...threw out three of 20 attempted base stealers (15.0%)...did not commit an error behind the plate, but had two passed balls...hit .325 (13-for-40) at home, .189 (7-for-37) on the road...hit .412 (7-for-17) when leading off an inning...had his contract purchased from Triple-A following game on Aug. 25...made his major league debut in start on Aug. 27 vs. San Diego, becoming just the third catcher drafted by the Rockies to appear in the big leagues...joined current bullpen catcher Mark Strittmatter (1998) and Ben Petrick (1999-2003) on that short list...went 1-for-4 with an RBI in the game, his first ML hit an RBI single to left in the fifth inning off Jake Peavy, knocking Padres starter from the game...Iannetta hit just .091 (2-for-22) over his first six games in the big leagues, but, beginning Sept. 8, batted .327 (18-for-55) over his final 15 contests...hit safely in 13 of those final 15 games, including a pair of six-game hit streaks...had RBI in four straight, Sept. 8-13...that stretch included his first major league home run, Sept. 12 at San Francisco off Jonathan Sanchez...drew career-high three walks on Sept. 18 vs. San Francisco...final hit of the season was a homer on Sept. 30 at Chicago-NL, game in which he caught all 14 innings...split rest of season between Tulsa and Colorado Springs, where he combined to hit .336 (103-for-307) with 14 home runs and 48 RBI in 91 games...began the year at Double-A, batting .321 with 11 home runs and 26 RBI in 44 games...had 24 walks against 26 strikeouts...had 38 games as catcher, six as DH...threw out six of 28 (21.4%) attempted base stealers...hit .344 (44-for-128) off right-handers in Texas League, but just .214 (6-for-28) vs. lefties...had a pair of two-homer games for Tulsa, May 2 vs. Midland and June 1 at San Antonio...had 3 walks in a game on three occasions...over his final 24 games with the Drillers, batted .365 (31-for-85) with seven home runs and 18 RBI...was named to Texas League All-Star team and singled in his only plate appearance for North Division squad in June 20 game at Ray Winder Field in Little Rock, Ark...was promoted to Triple-A on June 26...hit .351 with three home runs and 22 RBI in 47 games for Colorado Springs...threw out 11 of 35 (31.4%) attempted base stealers...batted .410 (16-for-39) vs. lefties and .330 (37-for-112) against right-handers...had 24 walks against 29 strikeouts...hit .383 (18-for-47) with runners in scoring position...made his Triple-A debut on June 26 vs. Salt Lake, going 0-for-4...would hit safely in 16 of his next 17 games, as he hit .446 (25-for-56) over his first 18 games at the Triple-A level...had three walks July 15 vs. Fresno...in final two games with Sky Sox Aug. 23-24 at Salt Lake, combined to go 6-for-9 with a homer, double, and six RBI...had four hits in the first of those games, his most at any level all season...after the season, named by Baseball America as a top prospect in both PCL (18th) and Texas League (11th). Selected by Baseball America as the best defensive catcher in the California League and the 13th-best prospect following the season...split the year between Modesto (High-A) and Tulsa (AA)...combined to hit .268 (86-for-321) with 13 HR and 69 RBI in 93 games...committed just six errors in 568 total chances (.989) and threw out 24-of-75 attempted basestealers (32%) in 70 games behind the plate...began season at Modesto and hit .276 with 11 HR and 58 RBI in 74 games...named California League "Hitter of the Week" for May 23-29 after posting a .417 (10-for-24) average with four doubles, three home runs and 12 RBI in that stretch...hit .319 (23-for-72) off lefties...posted a pair of two-homer games, July 2 at San Jose and July 20 vs. Stockton...in July 2 game, went 3-for-4 with two HR, including a grand slam, six RBI and three runs scored...posted 23 RBI over 22 games in May, including an RBI in six straight from May 24-31 (13 total)...had a pair of four-hit games for the Nuts...played for the U.S. in MLB's All-Star Futures game on July 10 in Detroit, drawing a walk in his lone plate appearance...promoted to Tulsa on July 23 and hit .233 with two HR and 11 RBI in 19 games...hit .321 (9-for-28) in July...threw out 6-of-19 (32%) attempted basestealers...hit safely in 10 of his first 15 games at the Double-A level before faltering due to injury, going 0-for-12 in his final four contests...landed on the DL on Aug. 25 with a broken bone in his left wrist and was out for the remainder of the season...participated in the Arizona Fall League after the season...played 15 games for the Peoria Javelinas, going 4-for-9 in his final three contests...went 2-for-3 with a double and homer in final game on Nov. 9 at Phoenix...rated as the 7th-best prospect in the Rockies farm system by Baseball America following the season. Chris skipped rookie ball and made his pro debut at Single-A Asheville...despite playing less than a half season there (36 games), Iannetta hit .314 with five homers and 17 RBI...reached base safely in each of his final 25 games beginning July 30, the second-longest on-base streak for the Tourists...starting on July 11, he hit safely in his final 18 road contests...threw out 9-of-31 attempted basestealers (29%). December 8, 2017 Colorado Rockies signed free agent C Chris Iannetta. November 2, 2017 C Chris Iannetta elected free agency. May 20, 2017 Arizona Diamondbacks activated C Chris Iannetta from the 7-day disabled list. May 14, 2017 Arizona Diamondbacks placed C Chris Iannetta on the 7-day disabled list retroactive to May 13, 2017. Concussion. January 13, 2017 Arizona Diamondbacks signed free agent C Chris Iannetta. November 3, 2016 C Chris Iannetta elected free agency. November 23, 2015 Seattle Mariners signed free agent C Chris Iannetta. November 2, 2015 C Chris Iannetta elected free agency. July 28, 2012 Los Angeles Angels activated C Chris Iannetta from the 15-day disabled list. July 21, 2012 sent C Chris Iannetta on a rehab assignment to Salt Lake Bees. May 11, 2012 Los Angeles Angels placed C Chris Iannetta on the 15-day disabled list retroactive to May 9, 2012. Fractured right wrist. November 30, 2011 Colorado Rockies traded C Chris Iannetta to Los Angeles Angels for RHP Tyler Chatwood. May 25, 2010 Colorado Rockies recalled Chris Iannetta from Colorado Springs Sky Sox. April 27, 2010 Colorado Rockies optioned Chris Iannetta to Colorado Springs Sky Sox. June 9, 2009 Chris Iannetta roster status changed by Colorado Rockies. June 2, 2009 Colorado Rockies sent C Chris Iannetta on a rehab assignment to Colorado Springs Sky Sox.